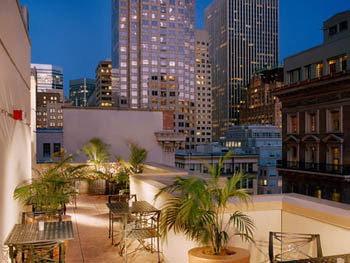 San Francisco is welcoming one of California first hotels to be built LEED certified. The hotel is the Orchard Garden Hotel and is a quick walk from the Financial District, the Chinatown Gates and Union Square Shops. The $25 million construction features eighty six deluxe guest rooms, a rooftop garden, an impressive boardroom and a small stylish American meets Mediterranean restaurant named Roots. 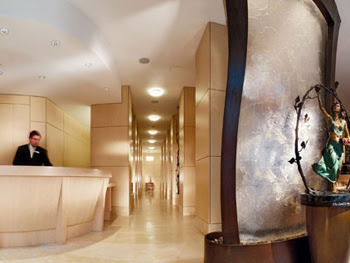 In addition to being LEED certified the impeccably stylish hotel offers certain other earth friendly perks, including; chemical free cleaning products, 100% tobacco free environment, and an innovative guest room key card energy control system used in Europe and Asia. Even the hotel eatery Roots is committed to the Orchard earth friendly approach by featuring local produce, naturally raised meats and sustainable seafood whenever possible. The hotel is sister to the award winning Orchard Hotel, and offers visitors and Eco-friendly stay in one of the greatest cities in the U.S.